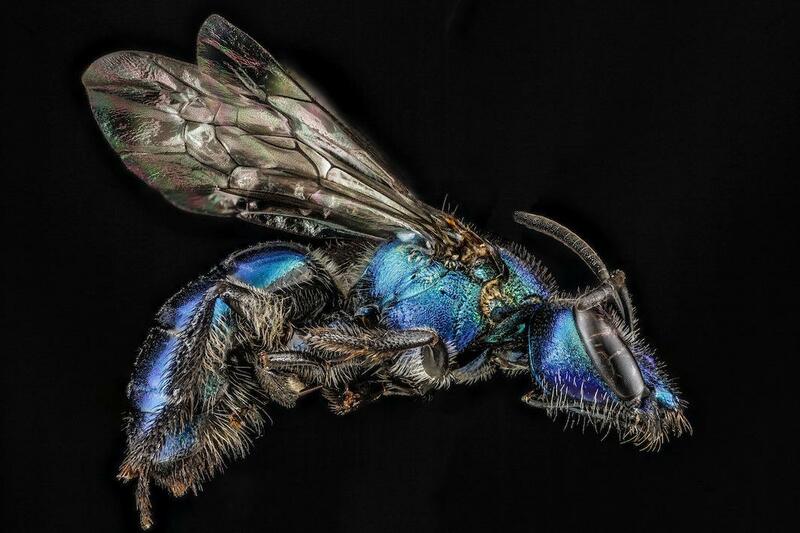 The U.S. Geological Survey Bee Inventory and Monitoring Lab photograph native bees. 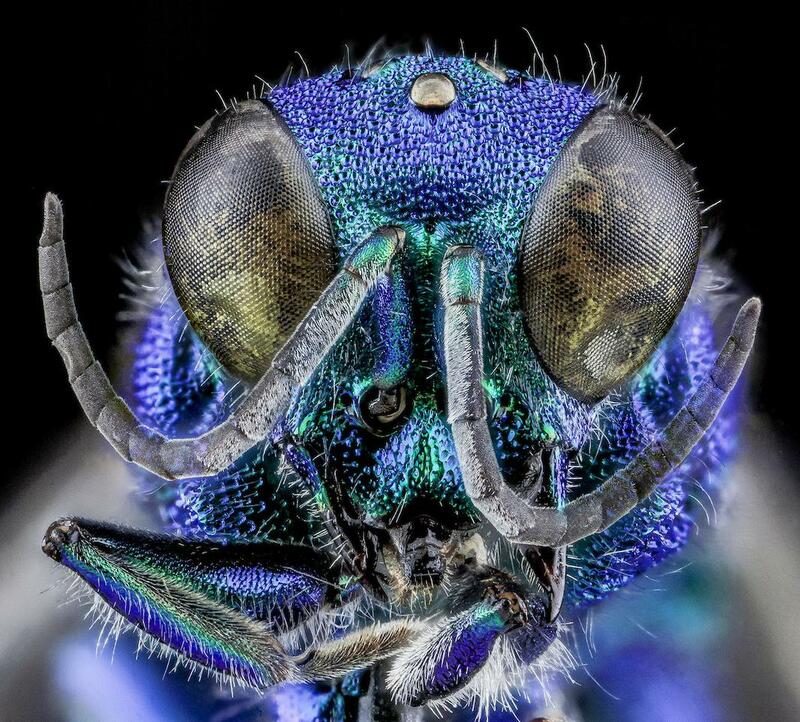 The photos of native bees and wasps taken at the U.S. Geological Survey Bee Inventory and Monitoring Lab are used for scientific purposes, but they are created with an eye for artistry. 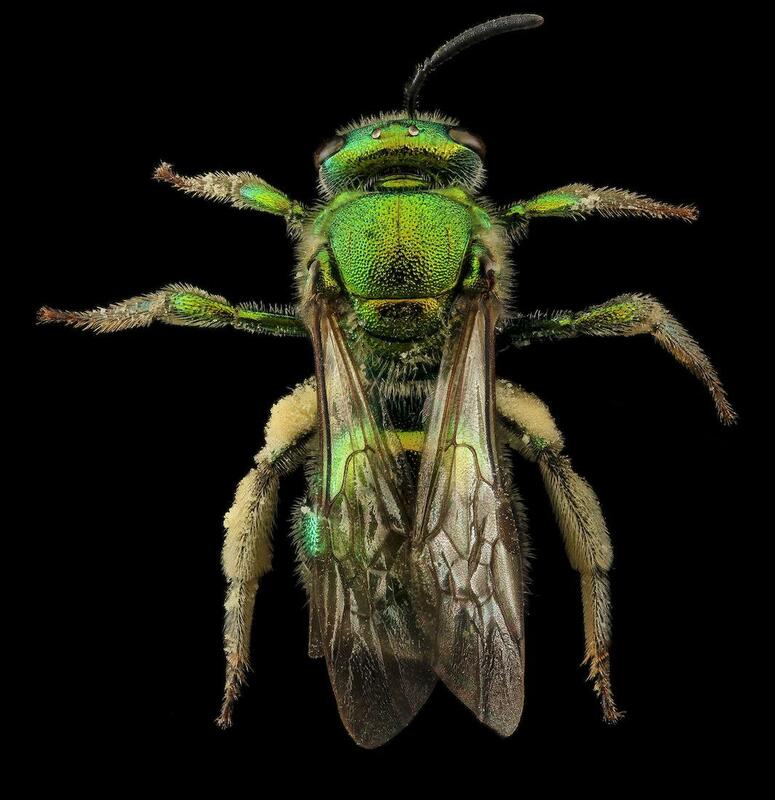 Droege’s team at the lab develops survey techniques, runs statistics, and creates monitoring programs to determine whether bee populations are declining. 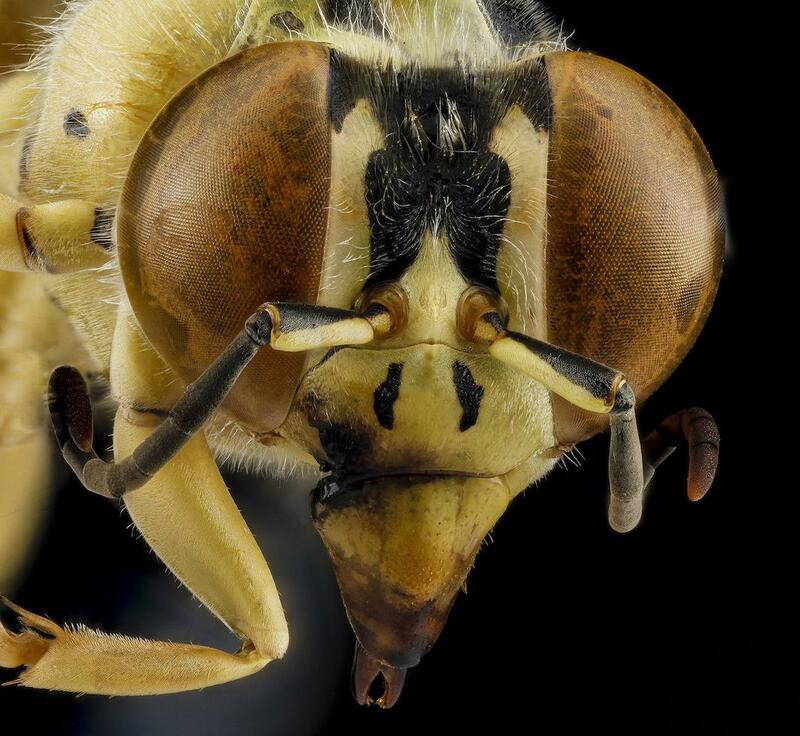 “There are likely species of bee much more threatened than honeybees. 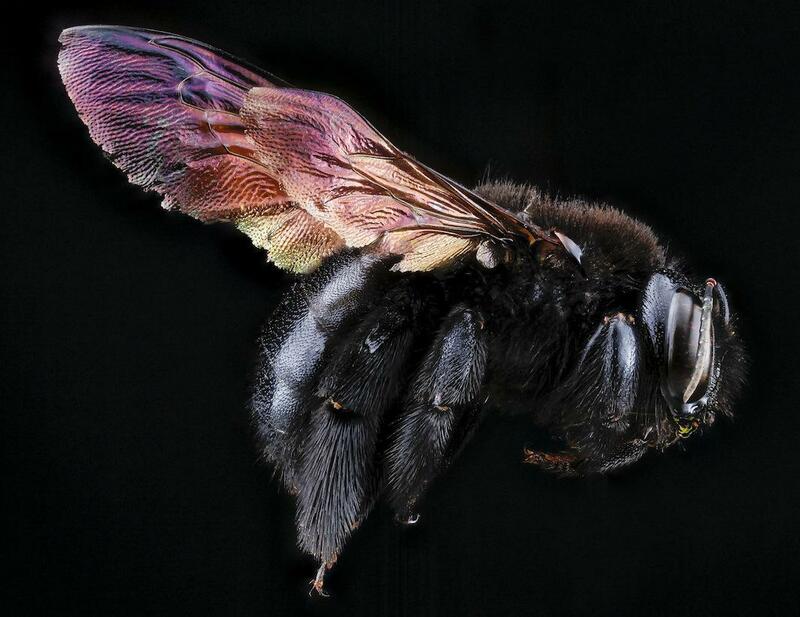 For most species we really don’t have any idea what the population status is, but for the relatively well studied bumblebees, we know that some species have crashed to the degree that we can no longer find them and may now be extinct,” Droege said. 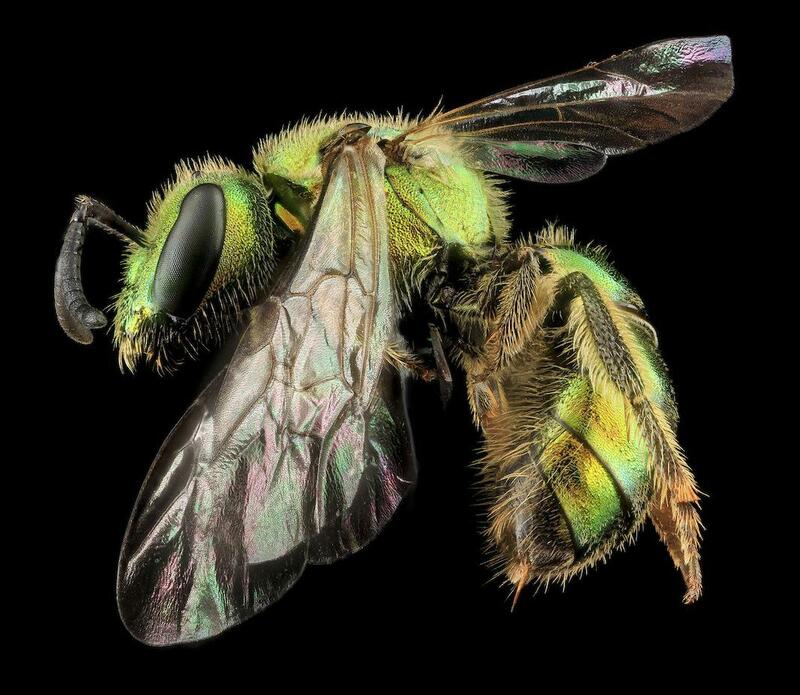 The photos they take of bee specimens, as well as the plants and insects with which the bees interact, are used in identification guides and posters, presentations, and printed material. Their photographic techniques, based on those developed by the Army’s Institute of Public Health, require a camera with a large sensor area and a macro lens. They take multiple shots and stitch them together to make one photograph that’s entirely in focus. Augochloropsis metallica, female, Laurel, Md. 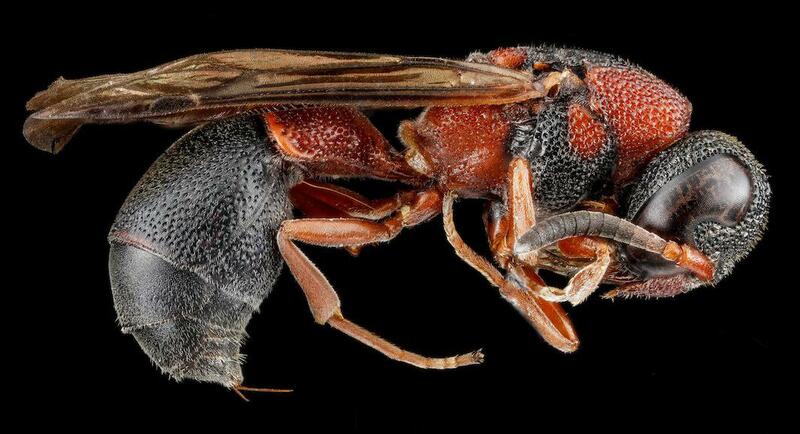 According to Droege, there are approximately 4,000 bee species north of Mexico. 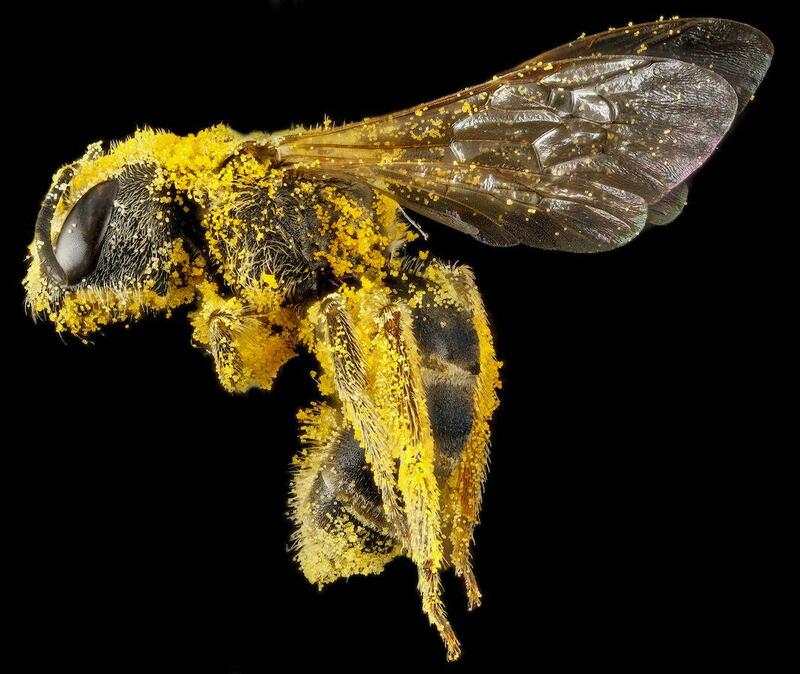 About 400 of them have not even been given a name yet—a fact, Droege said, that puts the study of bees about 100 years behind that of more commonly studied vertebrates like birds. Droege collects some of the specimens himself, but the majority come from national parks, forests, and wildlife refuges. He posts the photos on Flickr for the sake of convenience and makes them available in the public domain. When he started posting them, Droege said he had no idea that there would be so much interest in the photos outside of those who study them for a living or the occasional hobbyist. 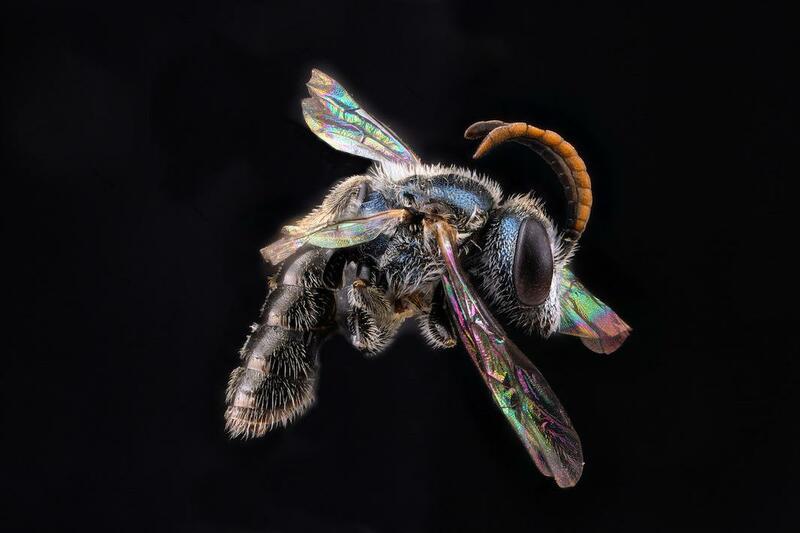 He suspects that giving online audiences an up-close view of the bees allows them to see the same beauty that scientists observe through their microscopes. Leptochilus acolhuus, Key Biscayne National Park, Fla.
Augochlorella aurata, female, Boonesboro, Md. 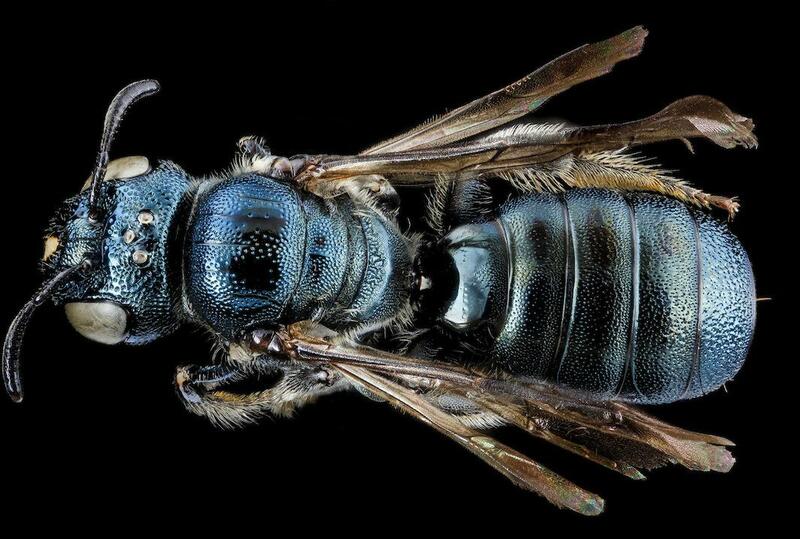 It’s one of the most common bees in eastern North America. Ceratina dupla, female, Kings County, N.Y.